The 12th Annual Medicare Congress was designed with you and your team in mind—covering Medicare and Dual Eligibles from A-Z. Make sure you join us this February 3-5 in New Orleans! Let us help you navigate through the evolving landscape so you can increase reimbursement with stronger Star ratings, build relationships with provider networks to improve quality of care, meet the clinical needs of dual eligibles to attract and retain new members— and much more! Download the 2015 Brochure Here. Register now and SAVE $500 but use the code XP2007BLOG and take an extra $100 off – total savings of $600! Register here. PLUS! Dual Forum and Stars University are back by popular demand. Click here to learn more. Welcome to this FDA/CMS Summit for Payers podcast. Below is a teaser from our podcast with Bill Winkenwerder, Former CEO, Highmark Inc.
How should manufacturers determine drug prices and what consideration should there be? Bill: Well, certainly manufacturers need to recover their costs – their investment in R&D – and it’s important that they make a profit. Nobody can be in business for any period of time without being able to make a profit. Now, more recently – especially with respect to certain manufacturers that have brought very expensive medications to the market – have been criticized and have been identified as charging too much. That’s the common perception, but I see the immediate evidence that the prices for these medications – given the relatively small population of people that would benefit from them – that there is a serious over-charging that’s going on. But, certainly we need to sit down and talk and determine if there is a better way to arrive at the price. What is a fair price? What is a good, market-based price? That’s what this Conference is about. To see more from Dr. Winkenwerder, download the complete podcast here. Download the updated event brochure here. There are many emerging themes and movements driving healthcare innovation and evolution, which is comparable to the Age of Enlightenment with its new discoveries and ways of solving problems. Katleen Smedts, Project Manager ICT at University Hospital Antwerp (UZA) and Bernard Algayres, GM Radiology IT EMEA, GE Healthcare, discuss how vendor neutral archiving can improve access to patient data, facilitate clinical collaboration and drive up quality of care. Dr. Thomas Geisbert, a scientist at the University of Texas Medical Branch at Galveston, was at a conference in Germany in 2000 when he and a Canadian collaborator decided to work together on a vaccine against the deadly Ebola virus. A new analysis from Avalere Health projects that enrollment of Medicaid and Children’s Health Insurance Program (CHIP) beneficiaries in managed care – i.e., state payment of private companies to provide benefits – will increase by 13.5 million individuals from 2013 to 2016. The effort, called the Transforming Clinical Practice Initiative, is a first-of-its kind effort from the public sector and large-scale investment dedicated solely to sharing information among physicians. CMS estimates that only about 185,000 of the country’s doctors take part in similar programs that strive to transform industry practices through the use of collaboration and technology. A health IT company that previously provided migraine patient data to pharmaceutical companies, Ubiqi Health, has relaunched as Klio Health. The new business, which CEO Jacqueline Thong started earlier this year, aggregates data from patients with chronic conditions with the goal of assessing effectiveness of treatment between visits through a portal. FDA/CMS Summit 2014 speaker John K. Jenkins, M.D., Director, Office of New Drugs, Center for Drug Evaluation and Research, FDA. • How is CDER doing with regard to meeting PDUFA goals? • What are the trends in new drug approvals? • FDASIA implementation; what new resources? • Despite challenges, new drug review program successes continue! To access the complete presentation from Dr. Jenkins, click here. 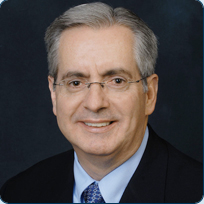 Join us this December 11-12 in Washington D.C. to hear Dr. Jenkins address these challenges for the upcoming year. This is an event you do not want to miss. Register now and save $300 off the standard rate, just use the code XP1917BLOG at checkout. To register, click here. mhpa2014, the annual conference of Medicaid Health Plans of America and a must-attend for Medicaid MCOs, is on October 26-28 in Washington, DC. mhpa2014’s sessions, expert insights, and networking receptions will provide health plan attendees all they need to succeed in the new age heralded by the ACA. Meet health plan executives, policy experts, state and federal Medicaid officials, and business leaders to discuss the latest in Medicaid managed care. Speakers include CMS’s Barbara Edwards, CMO Dr. Steve Miller of Express Scripts, and John Lovelace, president of UPMC for You. mhpa2014 also features Thomas Duncan, CEO of Trusted Health Plan, William S. George, CEO of Health Partners Plans, and Karen Clark, President, Horizon NJ Health, fielding questions from Forbes writer Bruce Japsen. mhpa2014 will close with a discussion with Medicaid Directors from Kentucky, Louisiana, Tennessee, and Virginia. 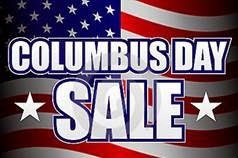 Celebrate Columbus Day! 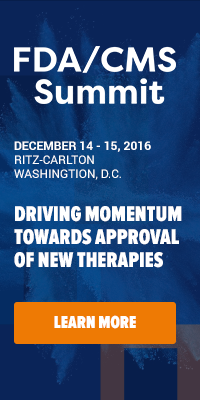 Register for FDA/CMS Summit for Payers by Monday & save $300! Register here for IIR’s FDA/CMS Summit for Payers event taking place December 11-12, 2014 in Washington D.C., visit the website for full details. *This promotion is only valid October 10th-13th 2014. Offer cannot be applied retroactively to confirmed paying registrants and cannot be combined with any other discounts or promotions. All registrants and guests are subject to IIR approval. Apexus, LLC, the prime vendor for the 340B Drug Pricing Program, has announced that it has been selected by the Health Resources and Services Administration (HRSA) to continue serving in its role as the prime vendor through September 29, 2019. Apexus, which has held this position for the past 10 years, will continue to work with more than 25,000 safety-net provider locations, drug manufacturers, pharmacy wholesalers, and other stakeholders to negotiate discounts on pharmaceuticals and offer valued services, while supporting compliant operations and helping stakeholders to continue to deliver health care services to underserved populations. Beyond its contract work, Apexus is also the premier national resource for 340B educational programs, helping 340B stakeholders and healthcare policy experts receive and understand the latest information about the 340B program. Apexus Answers, its national call center, aligns with HRSA to provide up-to-date policy, compliance, registration, and recertification information. The 340B Program was signed into law by President George H.W. Bush in 1992 with the purpose of requiring drug manufacturers to provide outpatient drugs to eligible hospitals, clinics, and other health care organizations at significantly reduced prices so these covered entities could stretch their resources and be able to provide medications and other services to underserved populations. Apexus serves as the exclusive prime vendor for the 340B Program, managed by the Health Resources and Services Administration (HRSA). As the 340B prime vendor, Apexus works closely with HRSA’s Office of Pharmacy Affairs to enable approved entities to optimize the value of the 340B drug pricing by both reducing costs and supporting entities to establish compliant operations in the communities they serve. Apexus also operates Apexus Answers, the national call center available for all stakeholder questions, and manages in-depth 340B educational programs through 340B University™ to support stakeholder compliance and program integrity. Based in Irving, Texas, Apexus currently serves more than 25,000 safety-net provider locations by delivering additional savings on pharmaceuticals through the 340B Prime Vendor Program (PVP).